Analyzing An 'Analysis': It Came Up Short : NPR Public Editor An 'analysis' didn't initially get a needed label and didn't follow protocol. Robert Mueller, special counsel on the Russian investigation, leaves US Capitol on June 21, 2017. 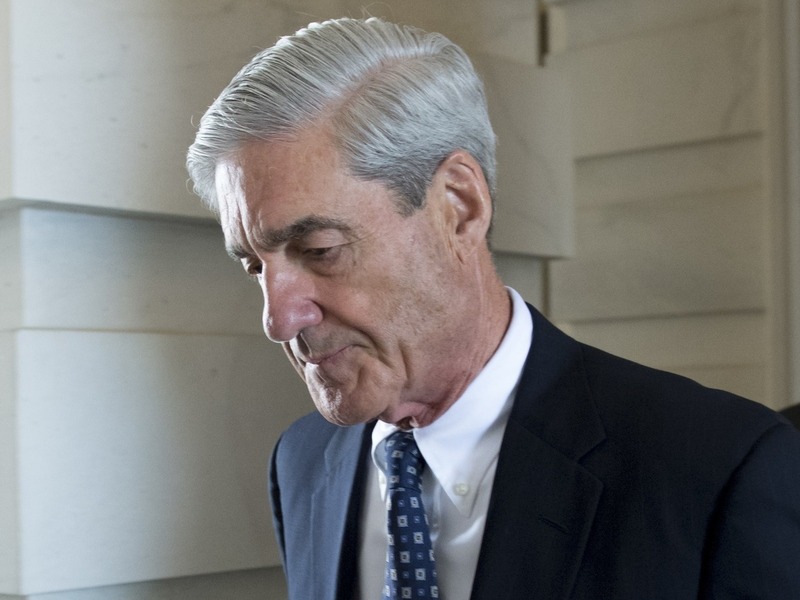 Special Prosecutor Robert Mueller's Russia investigation, along with the broader questions about Russian interference in the 2016 election, are among the most pressing stories of the moment. They also are viewed through highly partisan lenses. For those reasons (as well as for basic journalistic ones), NPR needs to get the story right. Yet for the second time this month, NPR has had to walk back a published report on the topic. The original headline on Saturday's piece was "The Russia Investigations: An Unfinished Case Looks Weaker Than Ever." It originally carried no labeling to indicate that it was "analysis," as opposed to straightforward reporting. After an outcry among readers (who thought it was pure opinion), the headline was changed and the "analysis" label added. It now reads: "The Russia Investigations: A Case Still Unproven." And the piece carries this editor's note: "This story has been edited to make it clear that it is analysis and that the allegations of the Trump campaign conspiring with the Russians remain unproven." Ewing has been writing these sum-ups of the latest developments in "The Russia Investigations" for some time, posting them on the weekends. They have not carried an "Analysis" label (and at least a few of them should have, in my opinion). Still, the after-the-fact changes made to the Saturday piece were ultimately minor. For one, despite the headline change, the piece still asserts, "the Russia case also appears to have been weakening, not strengthening." I believe the changes should have gone farther. From its framing to its tenuous conclusions, the piece for me remains problematic. "Political and legal danger for President Trump may be sharpening by the day, but the case that his campaign might have conspired with the Russian attack on the 2016 election is still unproven despite two years of investigations, court filings, and even numerous convictions and guilty pleas. That is a serious matter, or it might have been in other times, but this scheme is decidedly not a global conspiracy with a foreign power to steal the election." Sloppy wording makes this framing unclear, at best. "Is still unproven" would be more accurately expressed as "no evidence has yet been presented publicly proving the case." The piece later says — twice — that Mueller might be holding such evidence. For the record, Ewing told me the idea behind his piece "was to highlight the idea that even though political fortunes have taken a bad turn lately for the White House, the conclusions to a number of big federal cases in the Russia story — Flynn's, Cohen's and Manafort's — not only don't prove that Trump's campaign conspired with the Russians who attacked the election in 2016, they take evidence that supports that thesis off the table. Hence the 'conspiracy case looks weaker than ever' top to the story." He added, "The story also makes clear that not all the information in the case is public and that Mueller knows more than he has said and that he could make a big reveal at any time that changes the story." I don't think his piece makes that point as clearly as Ewing believes. Nor does the piece make clear that prosecutors often approach big cases by circling around a prime suspect and securing convictions of the person's associates on other matters, not all directly related to the main case. We have no idea if that is what Mueller is doing in this case, but it is a possibility. There's sloppy editing, too. To cite just one example: A reference to the argument being made by the president and his supporters — that the Justice Department is biased and "just grasping at straws" — is rendered as Ewing's own opinion, because of a bad paragraph break (between the fourth and fifth paragraphs). Ewing told me he was not expressing his opinion, but it certainly comes across that way. All this raises an even bigger question for me: Why is NPR is even doing such analyses that suggest one outcome of the investigation over the other (as opposed to recapping the developments of the week)? Any conclusions at this point are pure speculation, and speculation is at the heart of this piece. Speculation is not something NPR should be trafficking in; there are plenty of others filling that role. Last week, NPR's standards and practices editor, Mark Memmott, reminded the newsroom that "significant" stories needed to follow protocol before being published or broadcast. That means, they need to be reviewed first by at least one senior editor. Memmott's note, which is posted here, followed the previous mistake, which the Washington Desk said was partly the result of not having an editor give the piece close scrutiny before it was posted. Ewing and his editors said of that incident that they were simply moving too fast in covering the news. But there was no urgency in this piece. It was not tied to breaking news. So it was even more confusing to me that this story did not get flagged for higher-level scrutiny, a step that could potentially have caught the problems. It turned out that the editors who handled the piece simply didn't see it as a significant statement that needed extra attention. Beth Donovan, NPR's senior Washington editor, told me that the editors "knew what the thesis was and didn't hear it as the provocation it proved to be. They heard it as a summation of the week's news. That's why it didn't go up through various chains of editing." She added, "I think if this had gone to someone not so close to the story we would have made some small adjustments." Going forward, she said, all Washington Desk pieces labeled "analysis" will be read by a deputy managing editor before being posted. I'm not clear how the newsroom will reinforce the protocol Memmott outlined if there's no initial recognition that a piece fits into the category that needs to follow protocol. But clearly a better system is needed, and urgently, along with consequences for breaking the protocol. Otherwise the consequence is going to be a diminution in NPR's credibility.